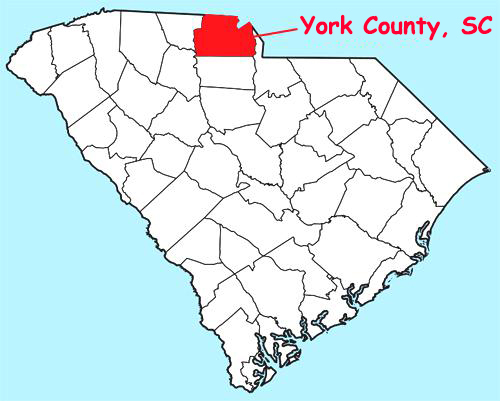 Each winter--in cooperation with the National Audubon Society--Hilton Pond Center implements and compiles a Christmas Bird Count (CBC) for York/Rock Hill in York County, South Carolina (see map above). Christmas Bird Counts--perhaps the first big organized "citizen science" effort--originated 117 years ago as an alternative to traditional holiday bird hunts when folks young and old used newly gifted guns to see who could bring down the most birds. For that first CBC in 1900, ornithologist Frank Chapman organized 25 counts from Toronto to Pacific Grove CA and involved 27 participants who tallied 89 combined species. That's a far cry from 2015 when 2,505 CBCs in the United States, Canada, and Latin America involved more than 59,000 participants who tallied more than 59 million birds, with nearly 650 species in the U.S. alone! 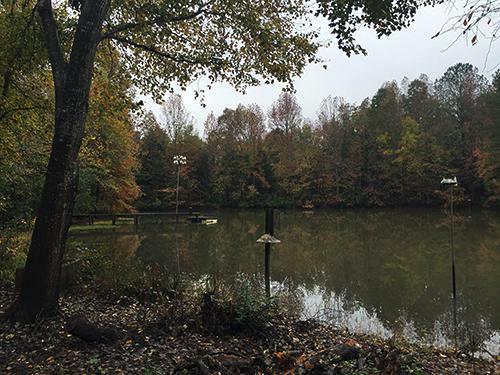 The count circle includes all of Hilton Pond Center (above), as well as a mix of urban/suburban/rural habitats and large sections of southern Lake Wylie on the Catawba River. 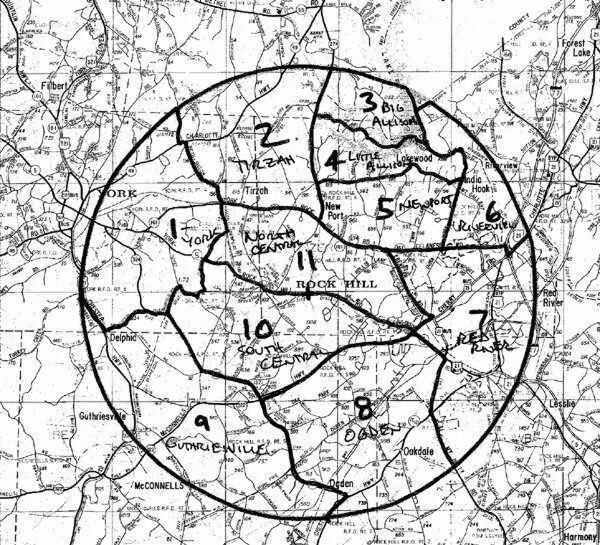 Participants are assigned one or more of the circle's 11 sectors and are expected to spend all (or part of) the day covering one or more area(s) by car and on foot--perhaps even by canoe or bicycle! This year our 27th annual York/Rock Hill CBC--typically held the Saturday before Christmas if weather allows--was conducted on 23 December 2017. The 2017 count began at 6:15 a.m. when the group gathered as always in Rock Hill near the center of the count circle. 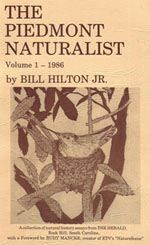 What was unusual was the count's founder and annual compiler (Bill Hilton Jr.) was not present because of illness, so he stayed home and tallied birds at his feeders at Hilton Pond Center. Fortunately, Bob Olson--a 20-year participant in the York/Rock Hill count, agreed to serve as designated compiler; he and another four-year veteran, Tom Anderson, performed admirably to make sure the count circle was adequately covered. We deeply appreciate their dedication to the effort. We were gratified that for the first time in many years the count had student participation--this time nine young people from Clover High School: James Linn, Patrick Belsan, Emily Park, Brooke Higgins, Maddie Franks, Adrienne Ehrnschwender, Michael Kramer, William White, and Sydney Frascht. (Hilton especially regrets not having had opportunity to meet these budding birders and hopes they can join us again in 2018.) Also on hand were first-timers Polly Oliver and Guy McGrane. By day's end the 12 participants tallied 3,668 individual birds--one of our better totals in recent years--from 60 different species. 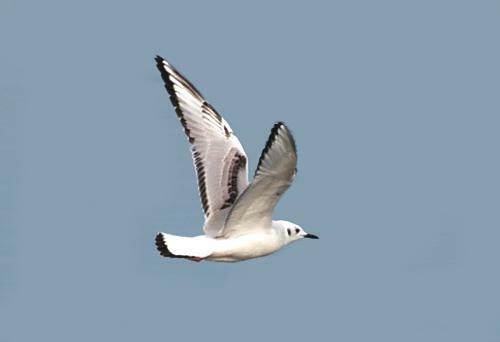 The group set new record highs for three species: 1,200 Bonaparte's Gulls (old record, 720, see top photo above); seven Pileated Woodpeckers (old record, three, male just above); and 560 Red-winged Blackbirds (old record, 503, winter male below). 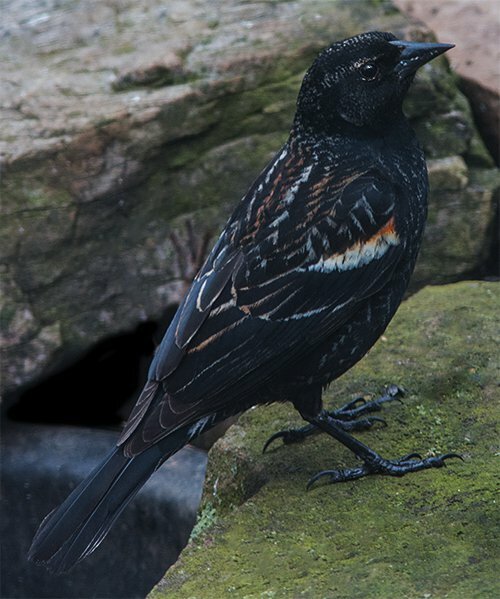 Also observed within the count circle during "count week" (but not on count day) were two Rusty Blackbirds in Tom Anderson's yard; a Great Horned Owl pair was heard dueting several nights at Hilton Pond Center. Five other count week species were Bufflehead, Palm Warbler, Cooper's Hawk, Fish Crow, and Winter Wren. No new species were seen on this year's count, but several more or less dependable species (seen on ten or more past events) were missed: Horned Grebe, Bufflehead, Ruddy Duck, Sharp-shinned Hawk, Cooper's Hawk, Hairy Woodpecker, Brown Creeper, Winter Wren, and Swamp Sparrow. 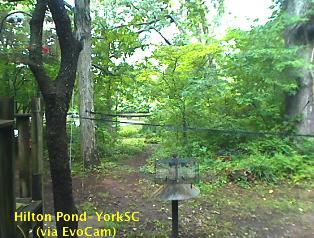 So far this fall Pine Siskins and Purple Finches are nowhere to be seen across nearly all the Carolina Piedmont. Although 3,668 birds made for a respectable count in 2017, it was still below the 27-year average of 4,300--and showed yet another year of gradual decline. (The 60 species seen this year was down slightly from the long-term average of 63.) 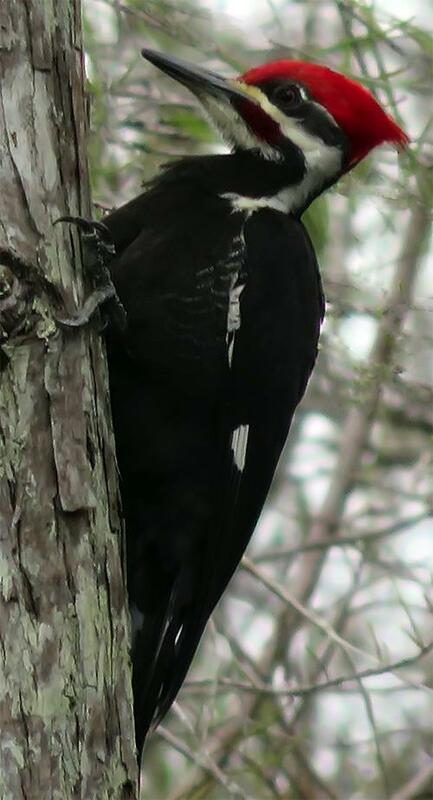 The biggest impact on diminishing bird populations in York County appears to be an ever-decreasing amount of natural habitat as commercial and residential development have expanded dramatically--sometimes catastrophically--during the past 27 years. 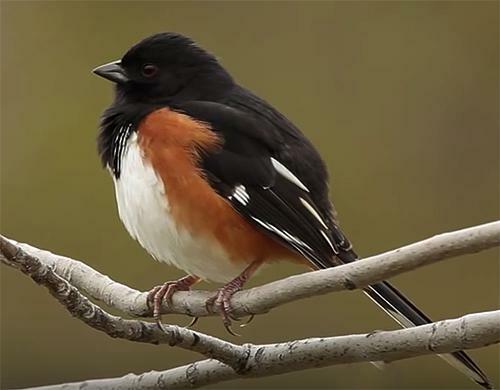 Not only are woodland birds decreasing as local forests are clear cut, York County is also losing grassland and shrubland species (such as Eastern Towhees, male above) when farms are abandoned or turned into subdivisions. One of the valuable--but sad--functions of our on-going Christmas Bird Count has been to document such changes. Please take time to peruse Table 1 below for a full accounting of the official results from our 2017 survey. Then mark your calendar and join friends of Hilton Pond Center for the 28th annual York/Rock Hill Christmas Bird Count scheduled for Saturday, 22 December 2018. No experience necessary--just binoculars and a desire to help get a more complete census of avifauna in central York County, South Carolina. If you'd like to participate or have questions about past counts, please contact the compiler at RESEARCH. --As of 23 Dec Hilton Pond Center's 2017 Yard List stood at 88--about 52% of the 171 avian species encountered locally since 1982. (If you're not keeping a yard list for your own property we encourage you to do so, and to report sightings via eBird.) New species this week: None. --Our immediate past installment of "This Week at Hilton Pond" was about two banded bird encounters a continent apart. It is archived and always available on the Center's Web site as Installment #664.